We hold regular promotions, events, and health screenings within the West Seneca community. Please see below for our upcoming schedule. At all of our screenings, we will be doing health surveys and providing basic spinal evaluations on-site. And everyone who participates in the spinal evaluation will receive an offer to visit our West Seneca office for a consult and in-depth spinal evaluation — FREE OF CHARGE! Call (716) 675-2225 for more information. And check back regularly to see what’s coming up next! Feeling Lucky? 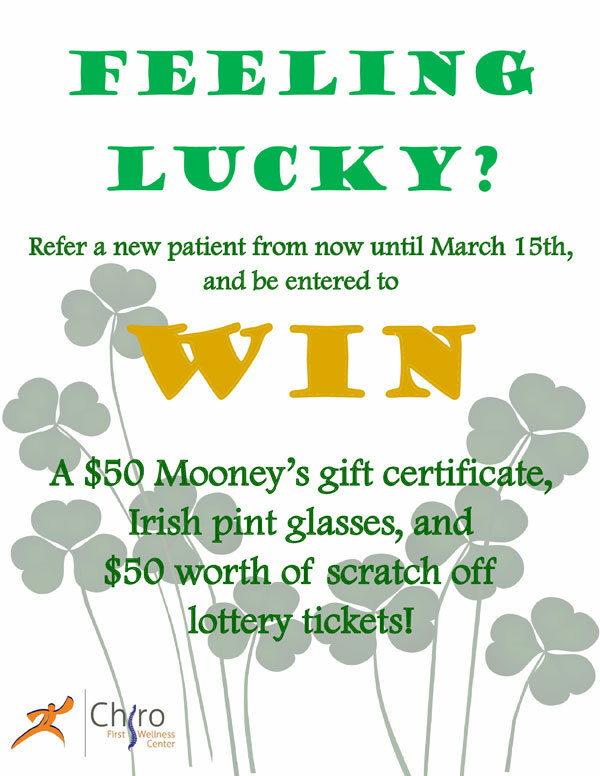 Between Now and March 15th refer a new patient for a Chance to Win!